Getting rid of your trash in the future might mean a form of rapid disposal. Suppose your trash can be instantly incinerated with powerful laser? It would certainly mean landfills would become a relic of the past. Of course, a laser guided trash disposal would need to have plenty of safety protocols but think of the land we could reclaim if we zapped all the garbage in a landfill and made it disappear? 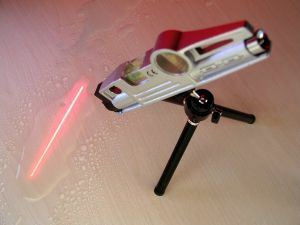 Until that day of laser disposals, we have to depend on the “old school” methods of junk hauling. That would be hiring a company like Junk King to get the job done. Junk King is part of a national chain of junk removal experts who like to help folks take back their homes from piles of junk. Yes, those junk piles are ones that we created but doesn’t mean they can’t “disappear” with a little help from Junk King. If you put Junk King on the task, then you’ll have your garage, closet and attic cleared out in no time. All you need to do is point to what you want taken away and the Junk King crew will know what to do. If you’re not sure about tossing out something, take a piece of advice from the organizational experts. They suggest that anything you haven’t used in six months is probably something you might never use again. You can exclude things like books, CDs, movies and decorations. Those you can hang onto. But things like an old treadmill, a kayak, a ping-pong table or even a rusty grill are perfect for pick up from Junk King. Even bigger items that need to be taken apart like a hot tub, sandbox, swing set or shed can be handled by the Junk King crew. Everything that is collected from Junk King will go through a sorting process. This is to determine what can be recycled or donated. If you were to throw your stuff out in a dumpster, it would merely be dropped into a landfill. With Junk King on the job, your stuff can avoid that trip to the dump and that is good news for San Diego. You can hire Junk King to take away a few items or use them for an entire estate cleanout. Either way, you’ll be guaranteed prompt and friendly service. Junk hauling doesn’t have to be a hassle. Junk King will make sure of that! This entry was posted in The Future Of Junk Hauling In San Diego and tagged junk hauling, Junk Hauling In San Diego, Junk King on July 18, 2014 by John Bonavita. Last updated August 1, 2017 .